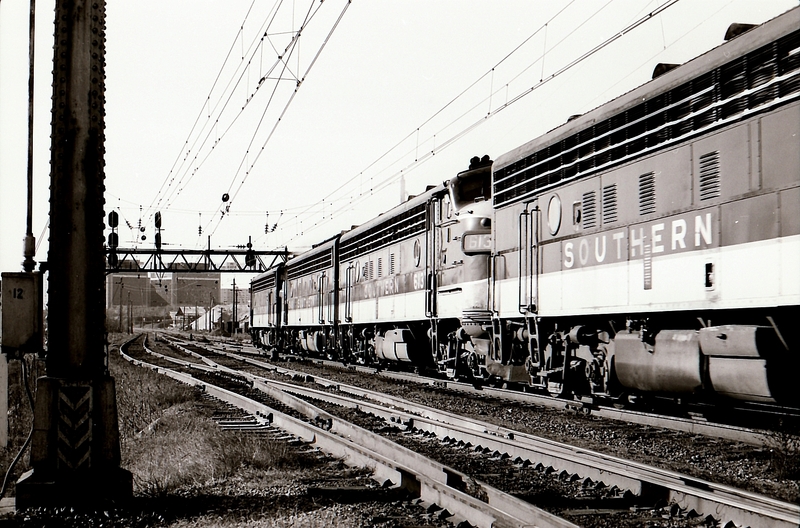 SOU #5 "The Piedmont" with it's four signature FP-7's has just crossed the Potomac River. Ex-PRR catinary provided PRR and later PC motors access to Pot Yard southbound receiving and northbound departure yards. Photographed by Bruce Nelson, November 30, 1974. Added to the photo archive by Bruce Nelson, September 12, 2018. Railroad: Richmond Fredericksburg & Potomac.